It has been nearly 20 years since Dr W Richard J Dean and Dr Suzanne J Milton published an edited volume concerning southern Africa’s drylands and over a decade since a research journal has dedicated one of its issues to the Karoo. 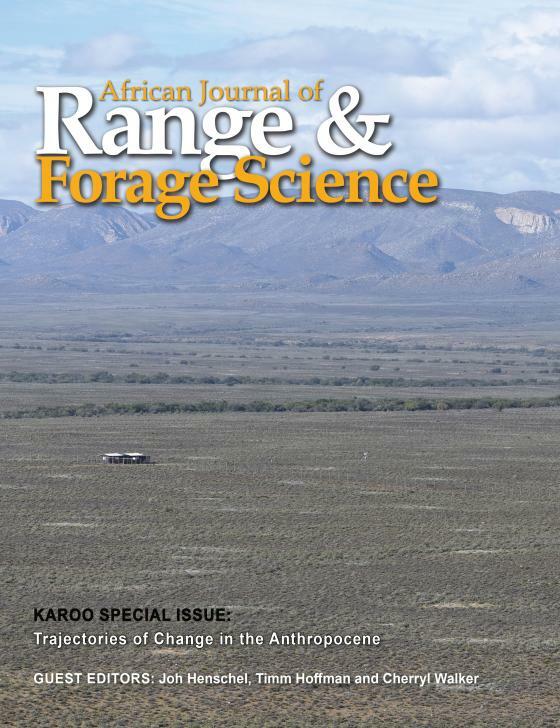 The Karoo Special Issue (KSI), published in African Journal of Range and Forage Science, Volume 35, Issue 3 & 4 is thus a truly influential issue. The Karoo is an arid to semi-arid area across the western third of South Africa, comprising the Succulent Karoo and Nama-Karoo biomes. Its environment and people have experienced considerable changes, and now face new challenges as the Anthropocene unfolds. The Anthropocene relates to the current geological age during which human activity has been the dominant influence on climate and the environment. The special issue brings together new information in 20 papers, a mixture of reviews, research articles and commentaries, significantly adding to the previous syntheses of Karoo knowledge. While previous ecological research on land-use practices in the Karoo has emphasised the impact of grazing by domestic livestock on vegetation, the KSI brings an historical depth to this use that has rarely been highlighted before, together with an analysis of several new data sets that have hitherto not been explored extensively. The issue is also a multi-displinary issue. Dedicated to Dr Suzanne J Milton and Dr W Richard J Dean the KSI papers, many of which were written by their colleagues, friends or former students, represents a Festschrift that celebrates and honours their research as well as the inspiration and leadership they have to a generation of scientists. The special issue can be accessed here.